Rummy games are played all over the World in many different countries, and the games are played by a wide range of people and ages. Here we’ll look a little at the background and history of Rummy games and why they have proven to be so popular. 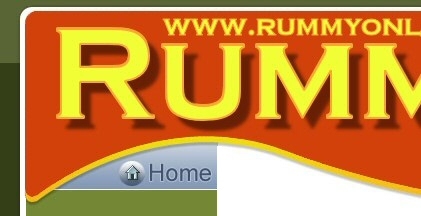 So popular, in fact, that Rummy is the third most popular game in the World. Rummy variants belong to the draw and discard type of card games where a card is drawn and the beginning of a players turn and another discarded at the end. The aim of all Rummy games is to discard your cards before the other players, gaining you points and penalising the others for the cards they have left at the end of the round. Many different theories surround the history of Rummy regarding the origins of the Rummy games and depending on who you listen to, they are all fairly feasible. However, in reality, probably over the years the modern day rules are an amalgamation of various different games. Mahjong is a game that originated in China and the play pattern is similar to the game from around the 18th century. Soon many Western variations of Mahjong appeared and a common assumption is that the game mutated following the swift spread of Chinese immigrants to the West. Some versions of Rummy can be traced back to the game "Conquian,” invented by the Spanish and brought to America by Spanish immigrants. This game is considered by many experts to be the true ancestor of Rummy and is very closely related to the most popular of Rummy games, Gin Rummy. Moving on a little in the History of Rummy, the most popular variant, Gin Rummy is fairly well agreed to have been invented in the early 20th Century in New York, as mentioned above, from a derivative of Conquian. It is widely believed that the history of the name “Gin Rummy” can from the inventors love of drinking Gin. The game became very popular in the 1930’s and was played extensively by the famous movie stars in Hollywood as a quick game to play between filming. The popularity of Rummy was further increased during the Great Depression when people tended to stay indoors and entertain themselves by playing games rather than partake in other forms of, expensive, entertainment. These days, online Rummy is very popular and offers players the chance to play many versions of rummy online, in their own homes regardless of the time of day. This has ensured the increasing popularity of Rummy and will continue to do so as playing rummy online becomes more and more popular. Perhaps we are only witnessing the beginning of the history of Rummy!